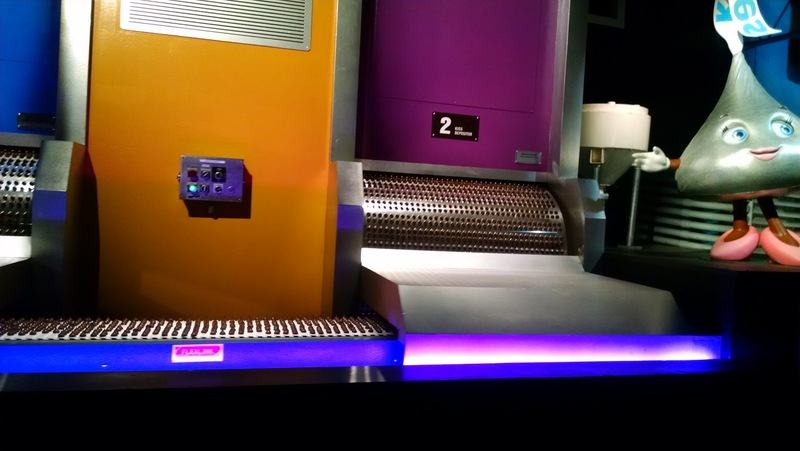 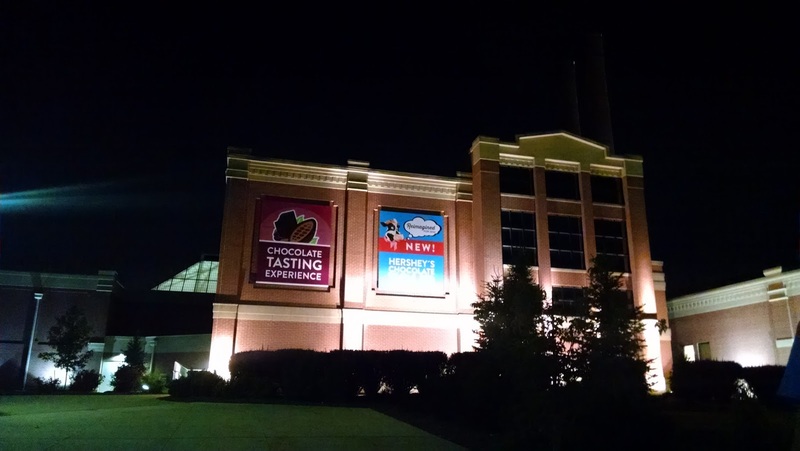 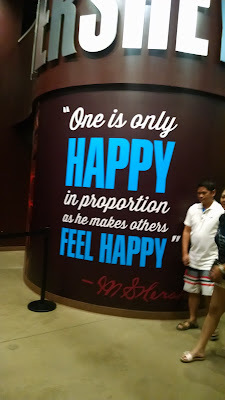 After Hersheypark closed at 10pm, we headed next door to Hershey's Chocolate World to take the free production-simulation tour. 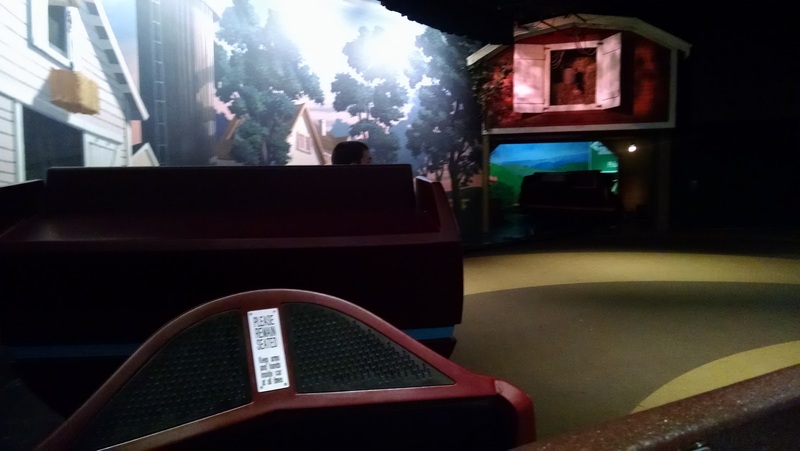 I actually had been here before when I was a kid. 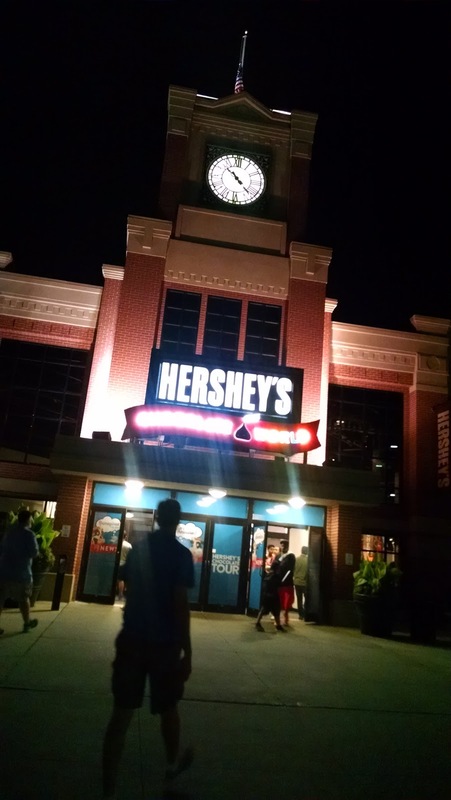 My grandparents used to live in Harrisburg, less than 30 minutes from Hershey, and we came here once (but did not go to the amusement park?!) 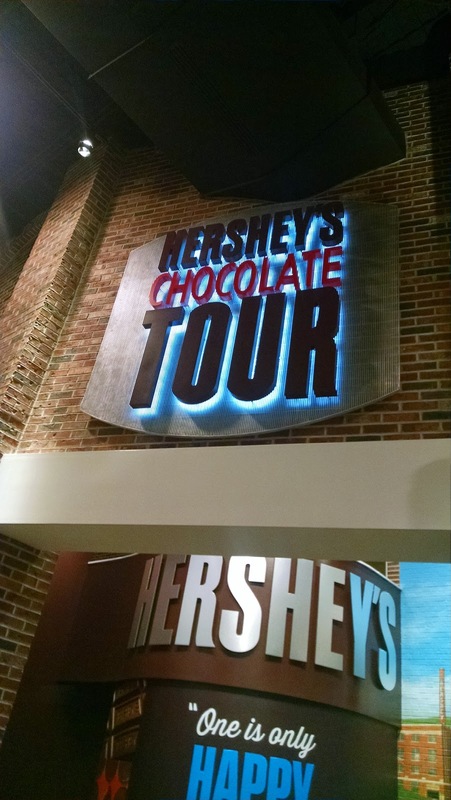 to go on the free tour. 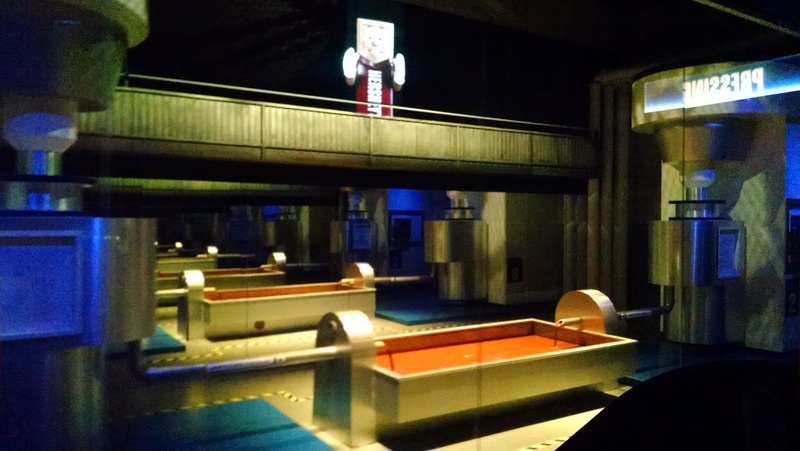 I remember having to wait in line and the tour being fairly long. 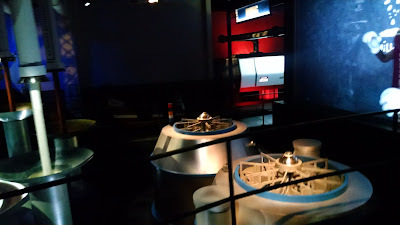 Well, the tour is quite different from how I remember it -- it's been totally redone and modernized -- but still a good amount of time, about 10 minutes. 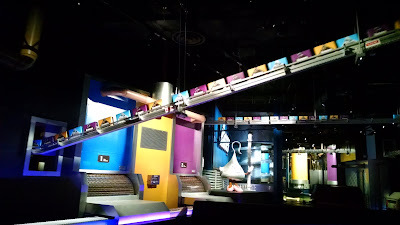 There are links at the bottom of the post for videos people have taken, one earlier this year and one from 1991! The 1991 version is closer to what I remember. There were hardly any other people here, so we had no line to contend with. If we had, we could have entertained ourselves with reading about the Hershey's timeline surrounding the queuing area. 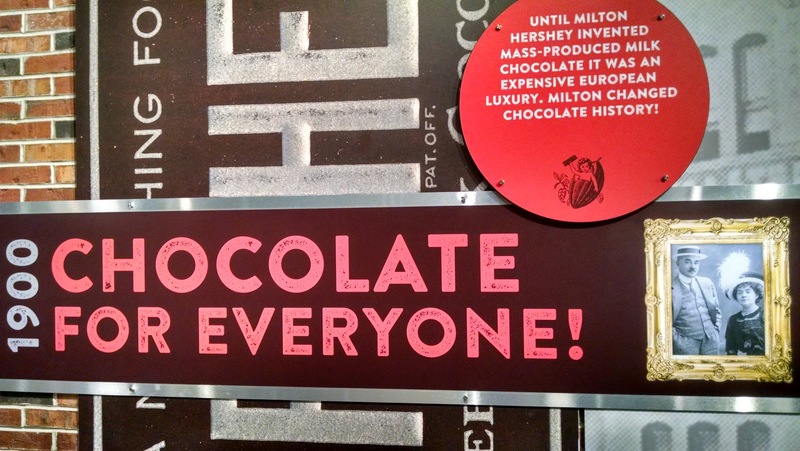 Here is my favorite part from the timeline - chocolate for everyone! 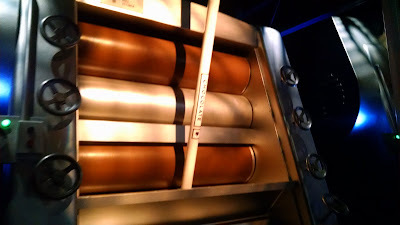 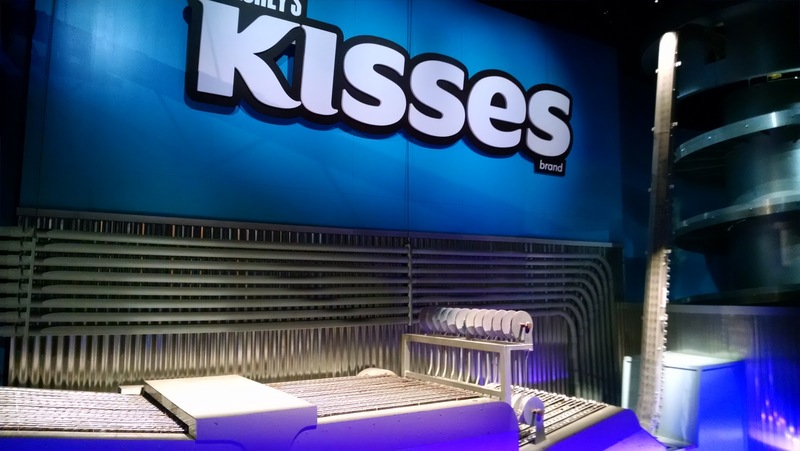 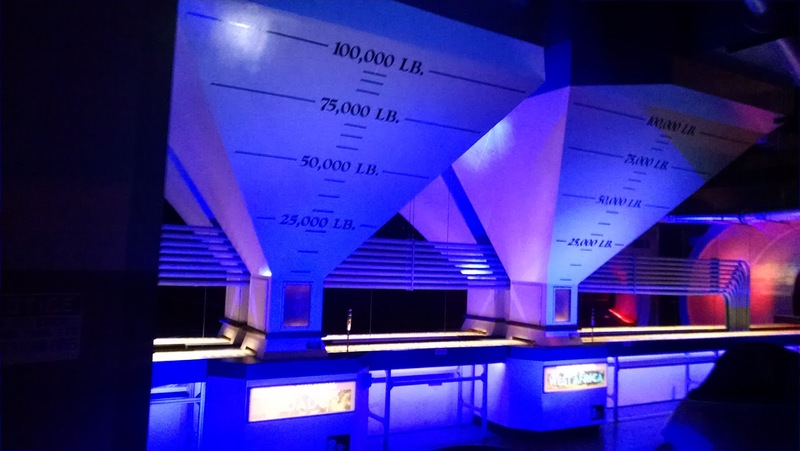 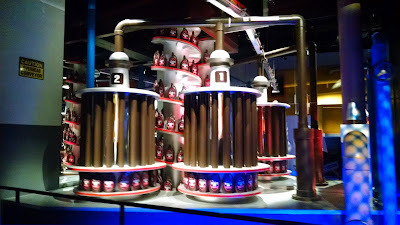 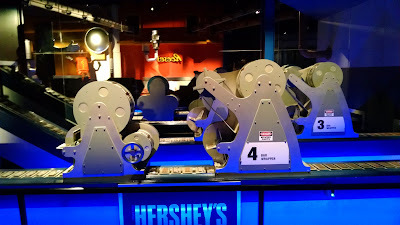 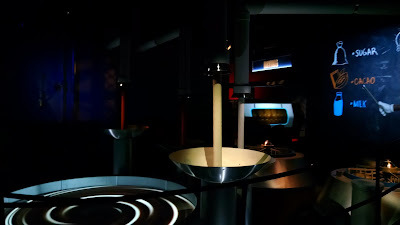 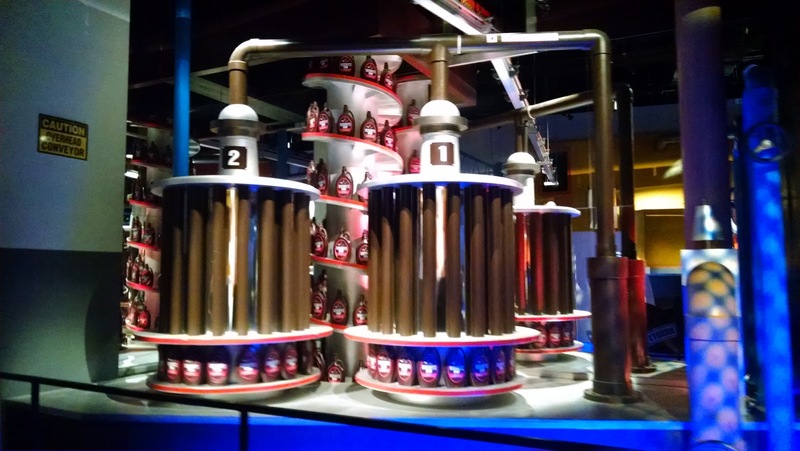 There is also an exhibit about how Hershey's acquires the cocoa beans it uses in the chocolate, and then you're led down to the ride area. 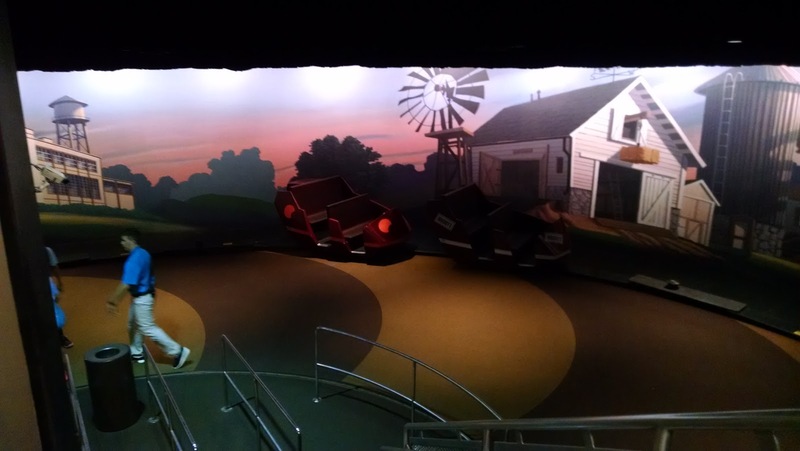 The floor here is moving and the attendant will help you into a boat (not on water) to take you through the Pennsylvania dairy countryside. 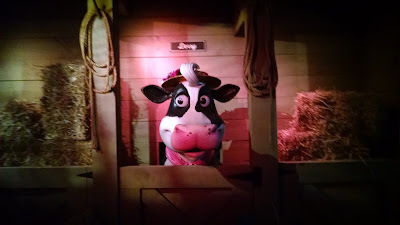 You'll come around the corner and there will be a singing cow. 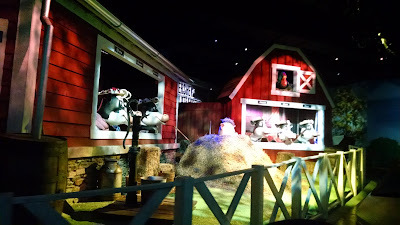 And then a lot of singing cows. It was awesome and weird, but mostly awesome (remember, also, that it was almost 11pm after 4 hours of rushed roller coasters and 6 hours in the car driving from Canada, so we were very entertained). 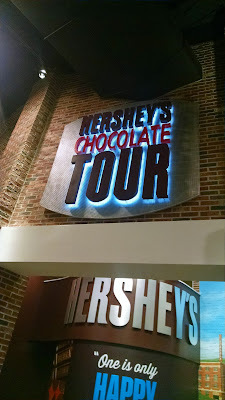 The rest of the ride shows you how the chocolate gets made. 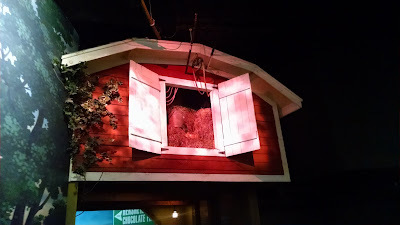 I asked if anything was real, but no, it's oil and paint. It does sometimes smell like chocolate, though. They know how to make you want a piece of chocolate. 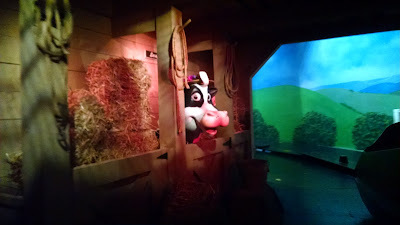 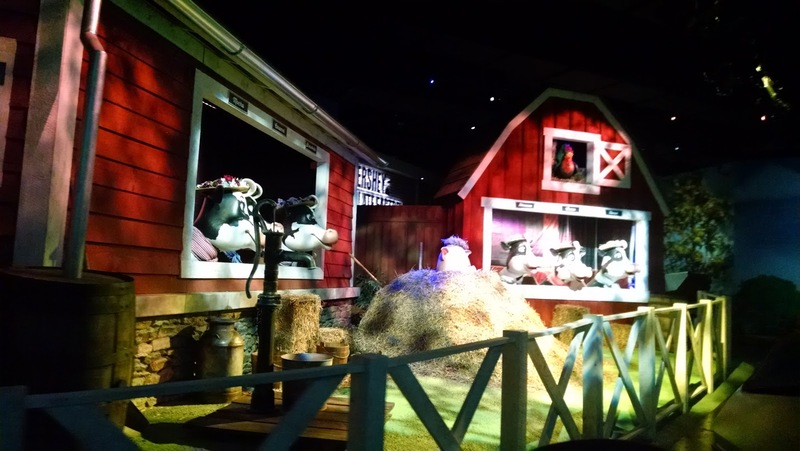 Some of the exhibits were very cool, and the whole ride is pretty well done. 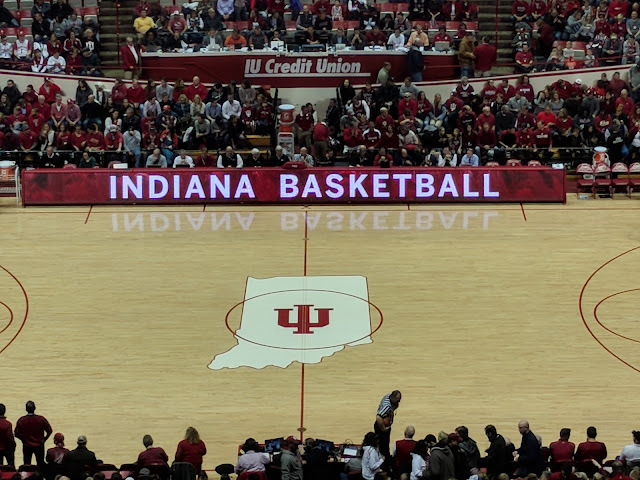 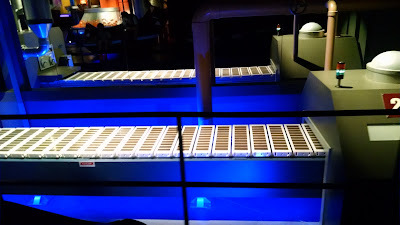 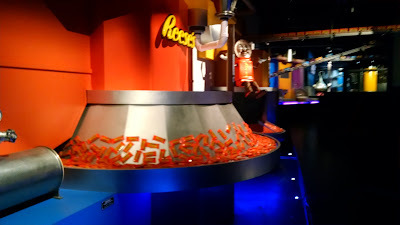 At the end of the ride, you'll step back onto the moving floor and head out to an attendant waiting to offer you a bite-sized bar of Hershey's milk chocolate. It is a nice touch to have as you wander through their gift store. 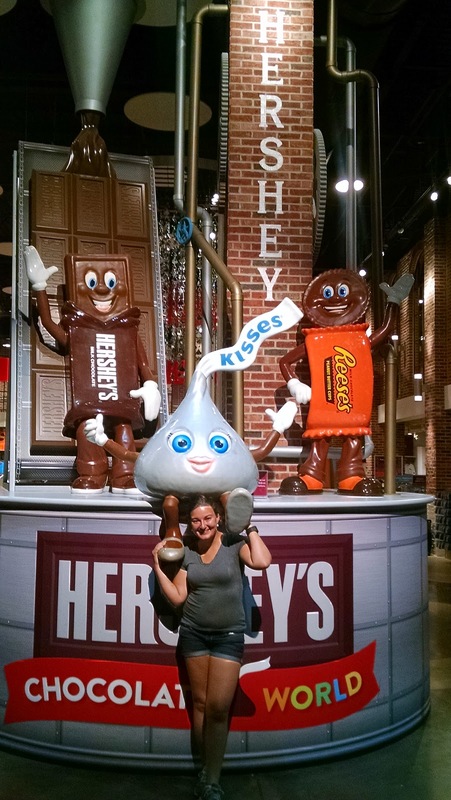 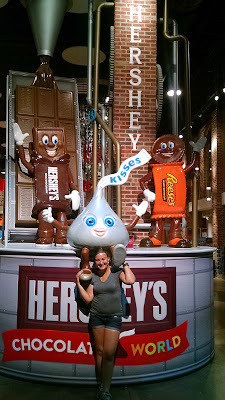 There are other things to do at Hershey's Chocolate World, but we definitely didn't have time to do any of them. 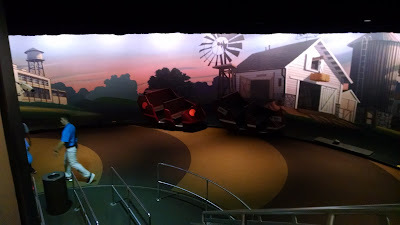 We enjoyed the free tour as a nice send-off from our day at the park.